On top of working a few jobs, I also manage two blogs, freelance, and dream about becoming the next big hit author. 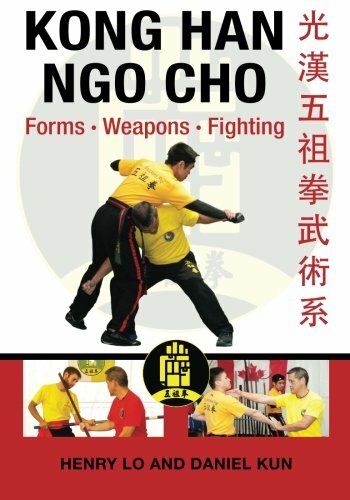 With such a busy schedule, it’s hard to find time to train and actually practice my forms outside of kung fu. Waking up has always been so hard for me. To say that I’m not a morning person is a severe understatement. I’m the type of person who sets at least three alarms in the hopes that at least one of them will ring through my eardrums and wake me up. Needless to say, morning training just wasn’t going to happen. And with so many other errands to run after work, there just doesn’t seem to be any time to start that sweaty training. Besides, after spending a long day at work, the last thing anyone needs or wants is to take their already sore body out to abuse it some more. These were the excuses I’ve been giving every time I show up for kung fu lessons. But that’s all that they are, just excuses. It took me so long to realize that I’ve been making up reasons to not train because… why? Was there even a real answer to that? I had convinced myself so hard that I’m a busy working woman with no time for anything else that I almost missed the fact that I was beginning my second marathon of ‘Friends’ in under two months and inhaling yet another family sized bag of chips on my own. It only finally dawned on me what I was becoming when my sister saw me lounging on the sofa in my pyjamas at 6pm. A victim to my constant nagging and worrying about not improving in kung fu fast enough, she came in and called me out on my moment of weakness. Gifted with the ability to raise a brow (a trick I didn’t inherit and only wish I could master), she gave me a funny look and said “why don’t you train or do some writing?” Yes, there was a little bit of an eye-roll tone to her voice. My only thought was what, does she think I’m lazy? But oh wait… I am!!! Yes, the alarm bells were sounding in my head and I panicked. That’s how long it took me to realize that I had time, plenty of it, to make my workout schedule work. There are so many people out there in the world who work harder jobs and longer hours than I do. And here I was watching another round of ‘Friends’. What was my excuse again? Busted! It was like I had forgotten the martial artist’s way of life. It hasn’t quite been a year since I started training, and maybe I’m reaching a little, but I like to consider myself a martial artist. That’s what I tell all of my friends. I am a martial artist! Being a martial artist is a way of life. It is someone who is disciplined and devoted to the practice of martial arts. At first, I didn’t think I needed to practice outside of lessons. I have only come to realize how important self-practice is to the development of my skill, lifestyle and spiritual awareness. Call me old fashioned, but I love the feel of a book planner. It makes me feel busy and important. Anyway, my love for books and paper aside, it was time to organize my daily schedule. Step 1: Search for when I have free time in the day. Whether that’s half an hour between meetings, an hour at lunch break, or a few hours of time before bed. I scribbled down notes on my planner wherever I found enough time during a day for a workout. Step 2: Consider the surroundings. Working out between meetings is great, but not when you are still in the office and liable to distract someone. There are some small workouts you can do in the office, but as a warning, don’t go full on kung fu mode. Trust me, people don’t appreciate that. Step 3: Commit to your plan. If it’s in my planner, it’s set and I’m doing it. Say no to going out with friends if it’s on a day you booked to workout. If you want to achieve your goal, stick with the plan, even if your friends start thinking you are an obsessive workout addict and stop inviting you out. I’m kidding. Of course schedule time with friends, but don’t deviate too much from your schedule. Kung fu is all about being focused. Or so I’m told. This might be the one I struggle with most, because even now, as I write this – oh look, a butterfly! Huh, what? Sorry. Back to what I was saying. Martial artists are known for being focused. Don’t just go through a form once and call it a day. Focus on how you are going through the motions of the form and think about how you can do it better for next time. Don’t let anything around you distract you as you feel your body move. Focus on mastering one technique at a time. I admit, sometimes I’m pretty weak and give up before I even start. On days I don’t feel like putting effort in, I put on workout clothes. Here’s my theory behind this. When I start the day wearing workout clothes, I’m telling myself “KungFu Girl, you are going to workout.” It’s like an order to myself. If I’m wearing workout gear, I might as well workout, otherwise what was the point on putting them on. It’s a mental thing. And actually, it also changes my frame of mind a little. As soon as the workout clothes are on, I suddenly become more energized and feel ready to take on the world. Give it a try and let me know if this works for you? One of the excuses I gave for not working out is that I have no room to workout. But honestly, I do. Working out doesn’t mean I have to jump and run around wildly. Kung fu has a lot of soft motions that you can go through even in your living room. Just going through the movement without any force can help train your body to remember the form. Doing a form more slowly also has the added benefit of you being able to feel how each muscle moves. Personally, even though I’m a little shy, I prefer to find a quiet place outside to practice. There’s something calming about the outdoors. I’m fortunate that my parents have a spacious backyard so I can practice in a relatively private area, but I’m also unfortunate as we don’t have a high enough fence to block out the prying eyes of neighbours. Oh well… at least they know not to mess with us. There is also the “go to” of any workout routine, the classic crunches, planks and sit-ups. If you tell me you don’t have even the slightest bit of space in your home to do even this much, or you can’t do it because your building doesn’t allow noice, I’mma gonna look at you and say “really” in my most sarcastic tone. Yes, it’s the same one my sister uses on me daily. The tone that says I’m rolling my eyes and shaking my head at you on the inside. Yes, I already talked about committing to your schedule, but I’m saying it again. Here’s the thing, you can’t just train one day in the middle of the month when you “feel like it”. You have to really commit to your efforts and want to make it work. This is where that kung fu discipline comes in. Being able to discipline yourself enough to stick to your schedule.